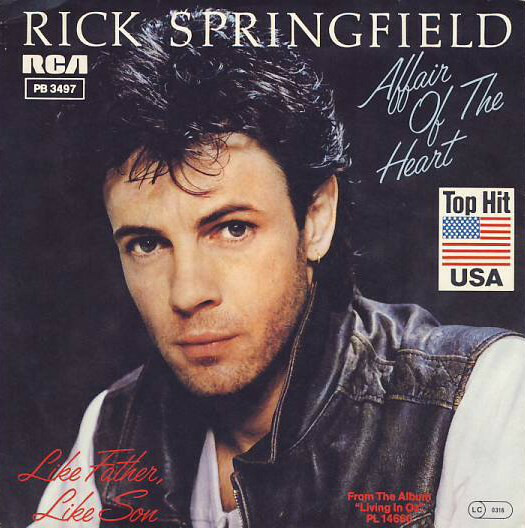 “Affair of the Heart” is a hit song performed by rock musician Rick Springfield. 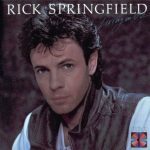 It was released as the lead single from his Platinum-certified Living in Oz album and was written by Rick Springfield, Danny Tate and Blaise Tosti. The song peaked at #9 on the Billboard Hot 100 and at #10 on the Cash Box Top 100 during the summer of 1983. It was the fourth of Springfield’s five Top 10 hits to date. “Affair of the Heart” was nominated for a Grammy Award for Best Male Rock Vocal Performance in 1984, but lost to “Beat It” by Michael Jackson.